Experiments in Cinema v14.2 call for submissions!! 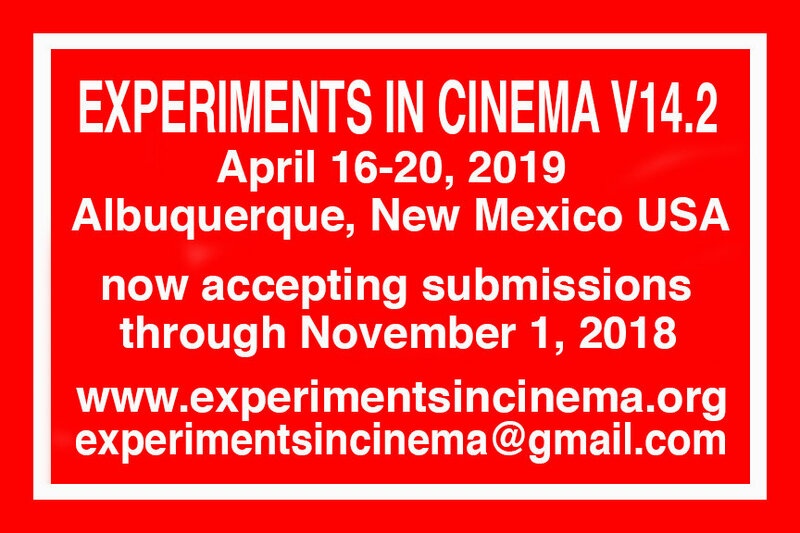 Basement Films’ annual international film festival is proud to announce our call for submissions for Experiments in Cinema v14.2 (April 16-20, 2019). Our call for submissions is open from August 1 – November 1, 2018 so don’t wait! See www.experimentsincinema.org for our online submissions form. We are seeking new and old moving image art that will engage audiences with the magic and wonder that IS undependent cinema! Submissions might be (but are not limited to) essay films, dance films, film poems, structural films, post-structural films, post-post structural films, underground films, abstract films, experimental narratives, experimental documentaries, video installations, transgressive films, portrait films, political rant films… Challenge us and make us happy (if your creative output requires fancy press packages, agents to be contacted, high rental fees, a world premiere, descriptions like “…think The Little Mermaid on steroids…,” or character development that can only be understood in terms of a traditional narrative arc, you might do well to find a different festival to screen your film).